The Harvard Review claims that customers who had great experiences in the past with a company will spend 140% more compared to people who had poor experiences. Clearly, there is a correlation between the quality of the experience and revenue, which also holds true in the hospitality industry. By its very definition, the word hospitality implies a great experience. The definition of hospitality is “the friendly and generous reception and entertainment of guests, visitors, or strangers.” So, it’s not just about receiving guests and sending them up to their rooms. It’s not just about taking their money. In fact, the concept of money isn’t even mentioned because hospitality is about welcoming people and making them feel good. Yes, it is also an industry, which means money has to be made, but the core concept shouldn’t have changed, otherwise why call it the hospitality industry and not the lodging industry? The more companies focus on the hospitality variable of the equation by offering guests an amazing experience, the more the industry side of the equation will flourish. Do one well, and the other will benefit, a fact Choice Hotels discovered when they conducted a study to find out whether there was a correlation between guest experience and revenues. They found that the 25% of their properties that had the highest scores in terms of Likeliness to Recommend, also generated Revenues Per Available Room that were better than average, while the opposite was true for those properties with the lowest recommendation scores. Forrester Research further supports the concept that guest experience is directly tied to revenues because they suggest that there is a strong correlation between customer experience and loyalty. A loyal guest will have a higher lifetime value but will also cost less, because it’s cheaper to retain guests than it is to attract new ones. 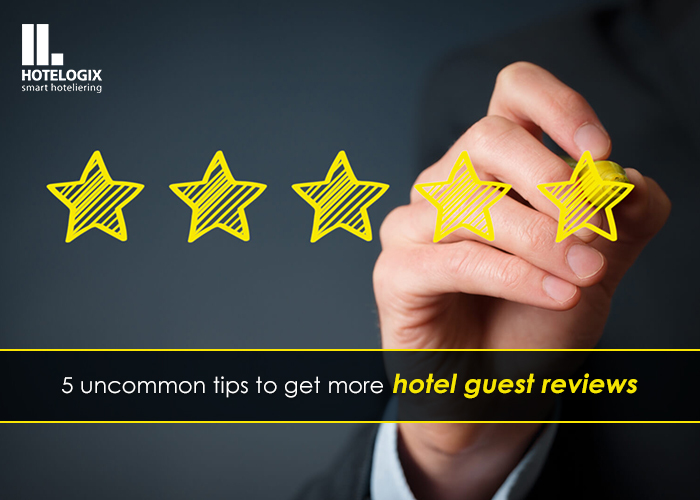 The first thing Choice Hotels did after conducting their research was to find out which factors had the greatest impact on the Likeliness to Recommend Scores. They then focused on improving the most critical factors in all their properties, which lead to an improvement in guest experience and incremental revenues of more than $18 million. This is probably one of the most important things you can do to improve the guest experience, because if you know your guests, then you know what you can do to make their stay delightful. Engagement is the key to a great experience, but how can you engage a guest when you know nothing about them? On a general level, guests expect speedy service, but also quality service. To achieve quality, you need to understand their particular likes and dislikes. This can be more easily achieved with repeat guests, because you can pull up past information. But it can also be done with new guests but politely asking them to fill in short questionnaires when they book a room. Read more about some simple steps you can take to improve guest experience here. These processes can be automated using property management systems and customer relationship management systems. Information on past guests can be automatically displayed when a guest contacts the hotel, while questionnaires can be sent out to new guests when they confirm their booking, which makes the entire process more efficient. – Making sure their favorite drinks are in the minibar. The more you do to improve the guest experience, the more loyal those guests will be. And loyal guests are the key to improving your bottom line. to register for our free ebook on how you can attract more guests in 2016! A Content Development & Marketing Specialist, I am originally from Seattle and have a strong passion for writing about topics such as improving guest experience and the impact of the latest technologies on the hospitality industry. I can be contacted at: sarah.miller@hotelogix.net. "Guest Experience and Its Impact on Hotel Revenue", 5 out of 5 based on 1 ratings.